Austrian Airlines is the leading carrier in Central and Eastern Europe as well as in the Middle East, known for its excellent service, Austrian charm, and pioneering innovation. The company chose Beijing to launch their new Economy and Business Class. Luxoom was invited to create an interactive, digital gallery installation for the roadshow to raise Austrian Airlines’ brand awareness. The gallery would feature the marketing assets of the new seats, the renown Austrian service and long-haul routes. 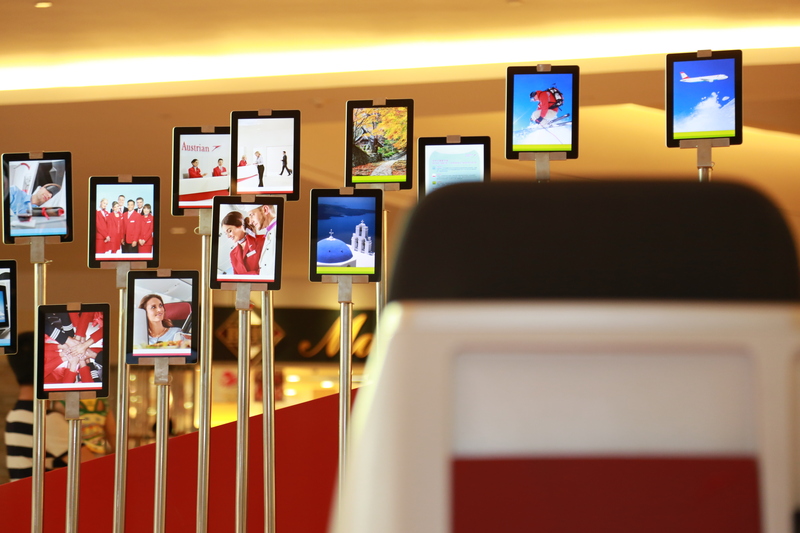 The solution was an iPad mosaic for Austrian Airlines’ roadshow exhibition. Instead of traditional TV screens, iPads were used as a display medium, as it provided versatile application options to present content in a fresh and interesting way. 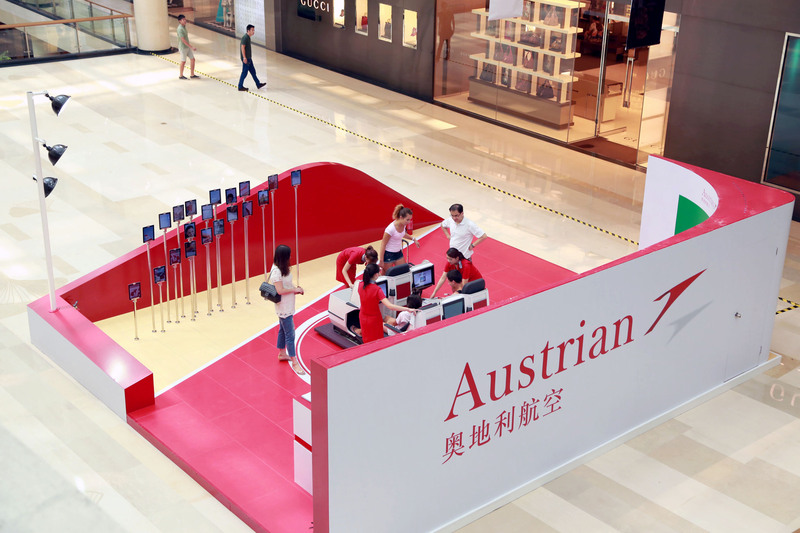 The twenty iPads were arranged in the shape of the Austrian Airline logo, functioning as a huge high-tech brand sign. 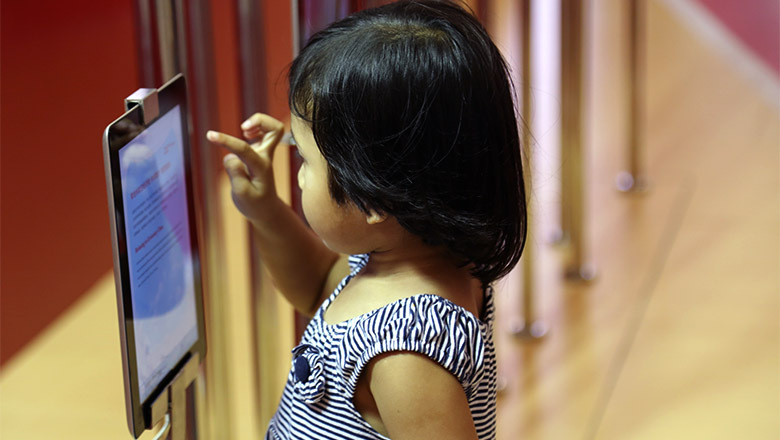 The iPads transformed the photo display into an interactive experience encouraging the audience to engage and explore. Luxoom supported HLD Events on the mediatecture, content concepts, development and interactive installation design. I designed the IA and iPad mosaic shape in Adobe Illustrator, and all content in Adobe Photoshop. The software app was developed in Unity; it consisted of an idle mode with a hint to interact, once touched an advertising video covering the entire space would be played. The photos were then displayed according to each category, upon entering, the iPad which the user touched will show text.